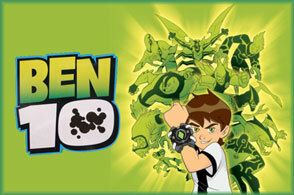 The show revolves around Ben Tennyson, his cousin Gwen, and his grandfather Max. At the start of their summer camping trip, Ben is nearly hit by an alien pod that fell from space and crashed next to him. When he examines it, he finds a mysterious, watch-like device, called the Omnitrix, stored inside. The device attaches to his wrist and gives him the ability to transform into different alien heroes, each with their own unique powers. Although Ben realizes that he has a responsibility to help others with these new abilities at his disposal, he isn\'t above a little superpowered mischief now and then.